Wouldn't you think that naming a restaurant after some kind of mafia or triad seems kind of weird and inappropriate? 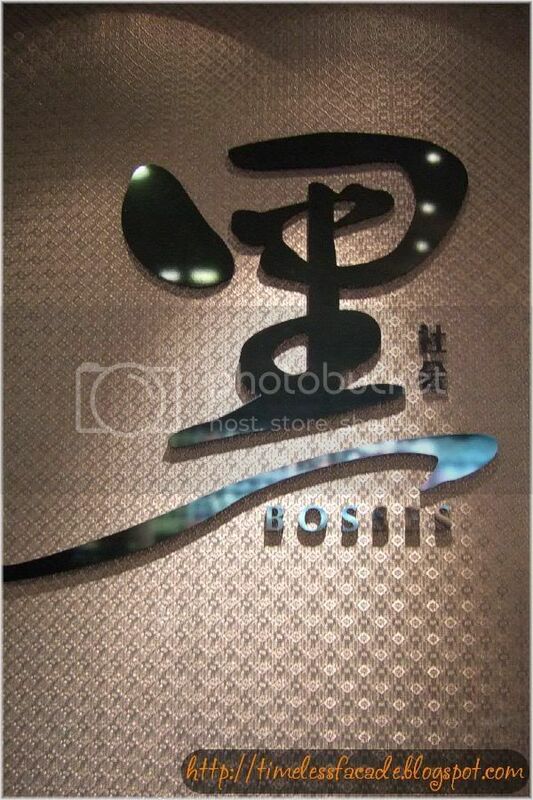 The owners of Bosses aka Hei She Hui(secret society) at Vivo City obviously don't think so. 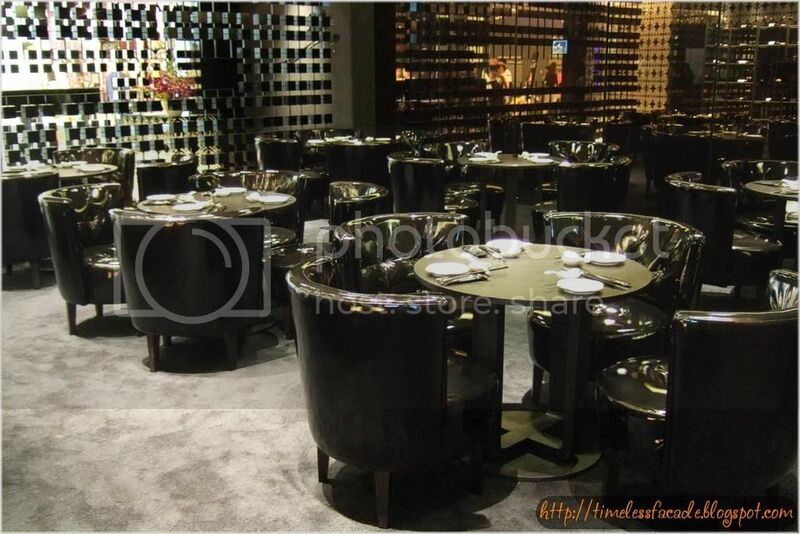 Black is the obvious choice of colour in this restaurant and everything from the tables, seats and even the menus are decked out in black. Truly in line with the theme of secret societies. 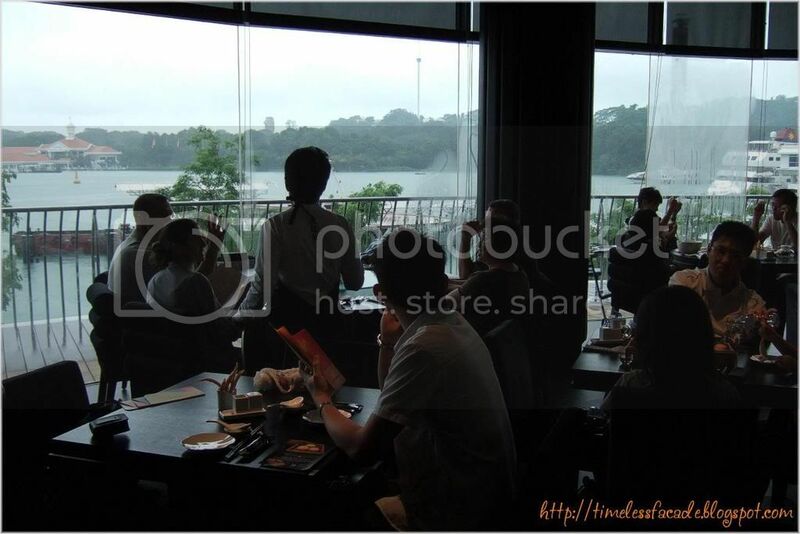 Make your way to the inner reaches of the restaurant and be rewarded with an unobstructed view of Sentosa through the floor to ceiling windows while you dine. One interesting thing about this place. 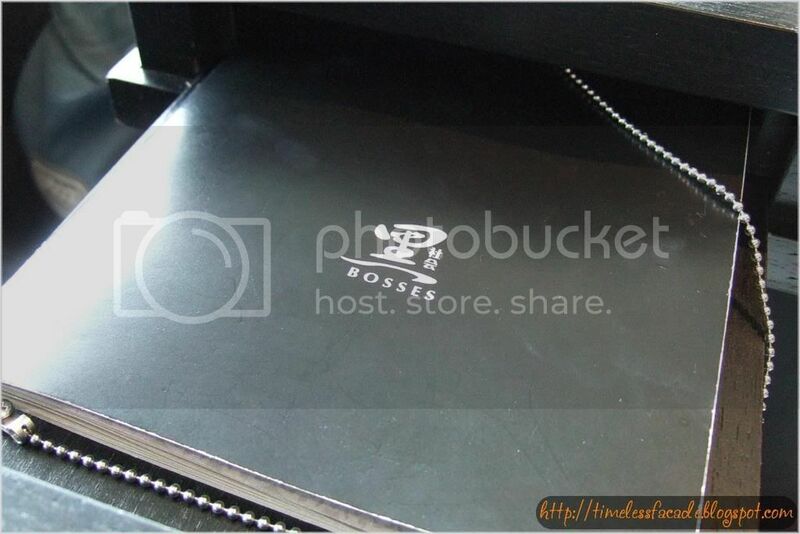 Their menu comes chained to a drawer under the table. Simply pull open the drawer to retrieve it. Something new! 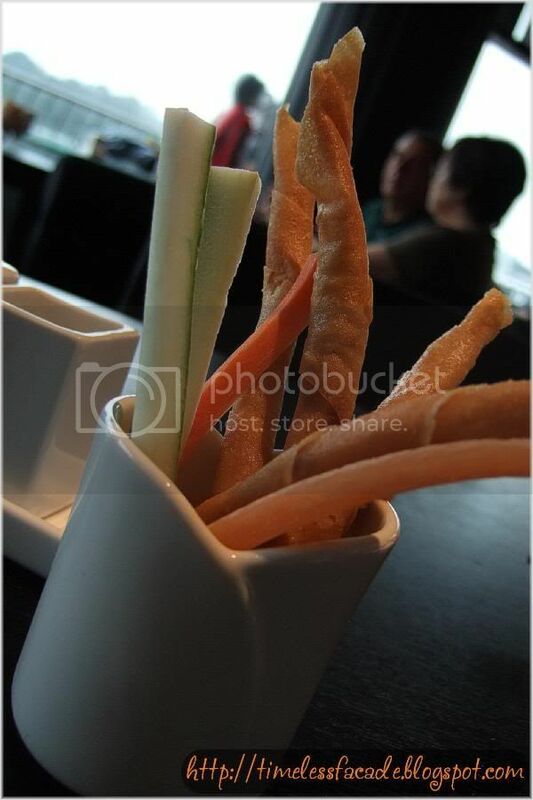 Our first dish was the appetizer of Spring Rolls, Carrot & Cucumber. The spring rolls were very well fried. 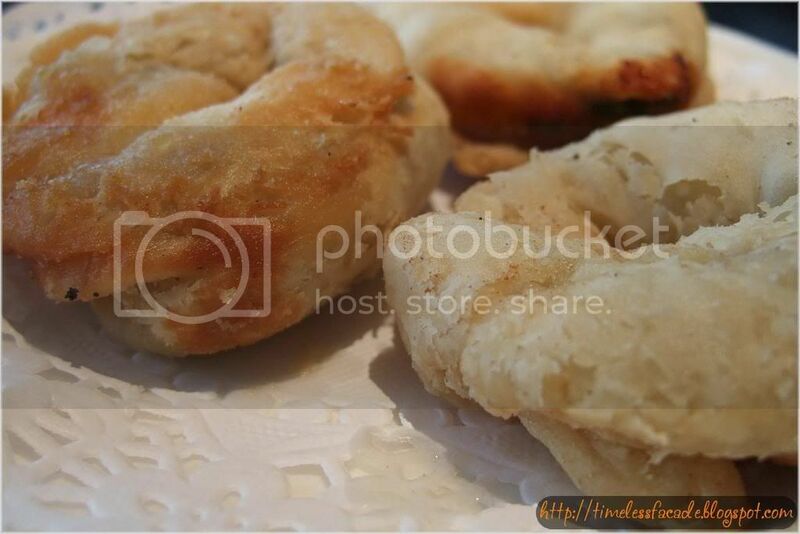 Crispy with no oily residue and no bad after taste arising from the usage of inferior or dirty oil. The carrots and cucumbers were nice and crunchy. Strangely enough, we didn't order this dish. It came as a standard appetizer to all tables and it certainly wasn't free. Personally, I find that $3.80 for such a meagre portion is outright ridiculous. Even my friend thinks so. 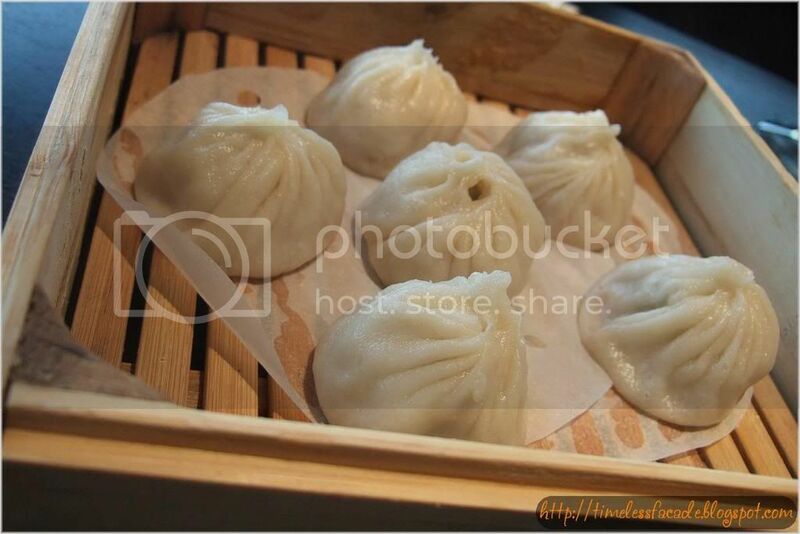 Following suit was the Shanghai Steamed Meat Dumplings aka Xiao Long Bao. 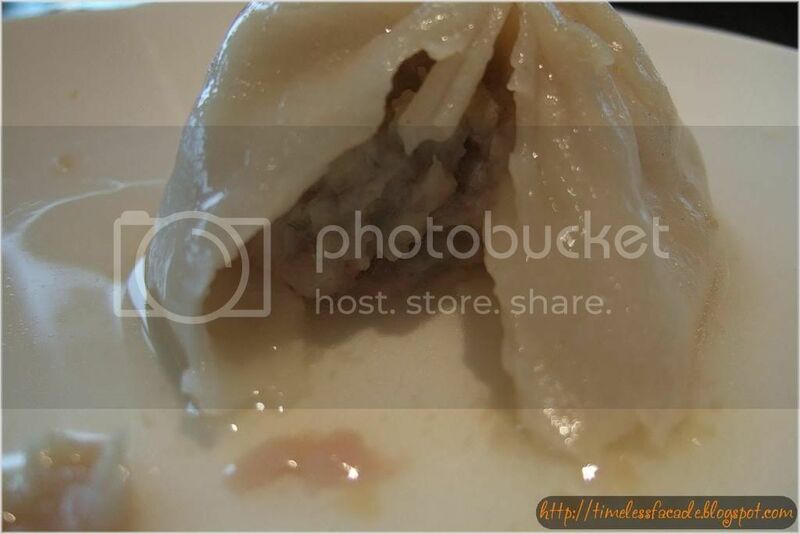 I found this to be quite well done with plenty of goodness sealed within the thin and soft skin. Bite into one and the juice literally squirts out and fills your mouth. The meat could do with a little more robust flavour though. 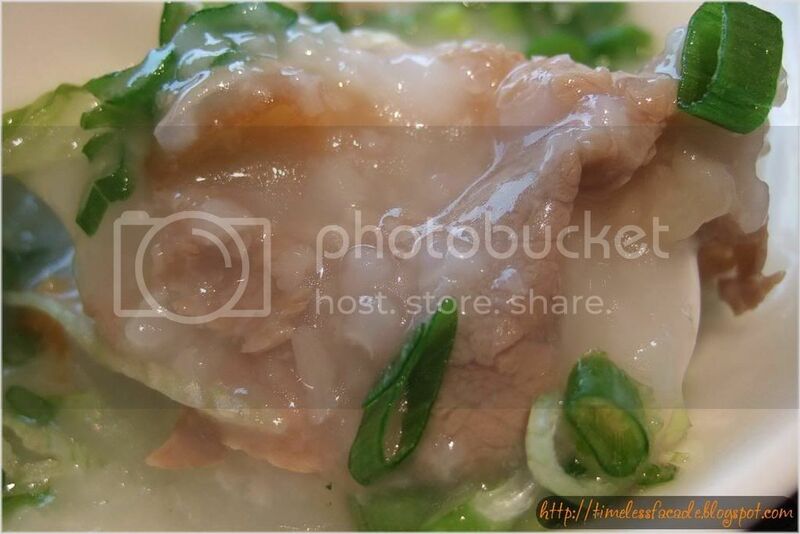 The Wagyu Beef Congee was rather average. The beef was too overcooked to really appreciate the goodness of the wagyu beef, if it indeed was wagyu beef. I honestly couldn't taste or see the difference between this and normal beef. We were intrigued by the Deep Fried Scallion and Pork Floss Pastry which came looking a little like Cinnamon rolls. 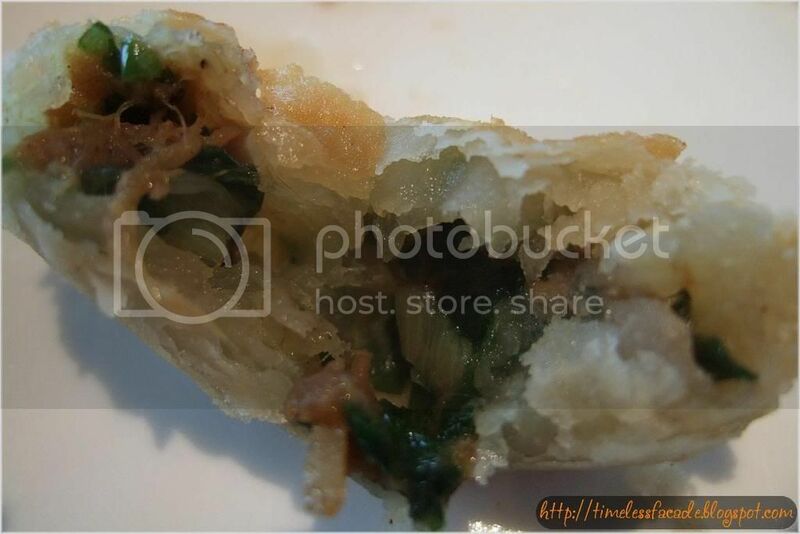 The pastry was flaky and not too oily, but the fillings were miserable. I had to eat until almost the end to actually even see signs of the filling, which consisted of Scallion and Pork Floss. Not that the filling was that great anyway. Salty and dispersed, it didn't make much of an impact to the whole dish. 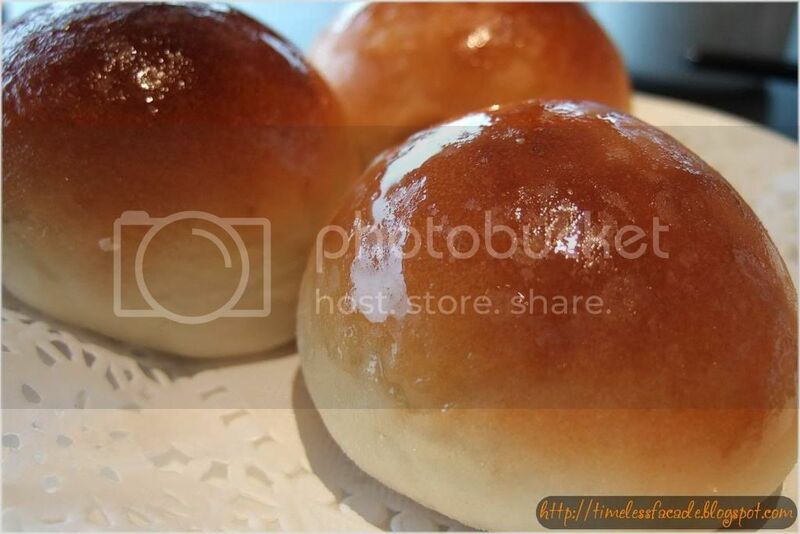 With a name like Number One Bun aka Tian Xia Di Yi Bao, the bun must either be really good or the person who came up with the name must really be brazen. I'm inclined to think it is the latter. 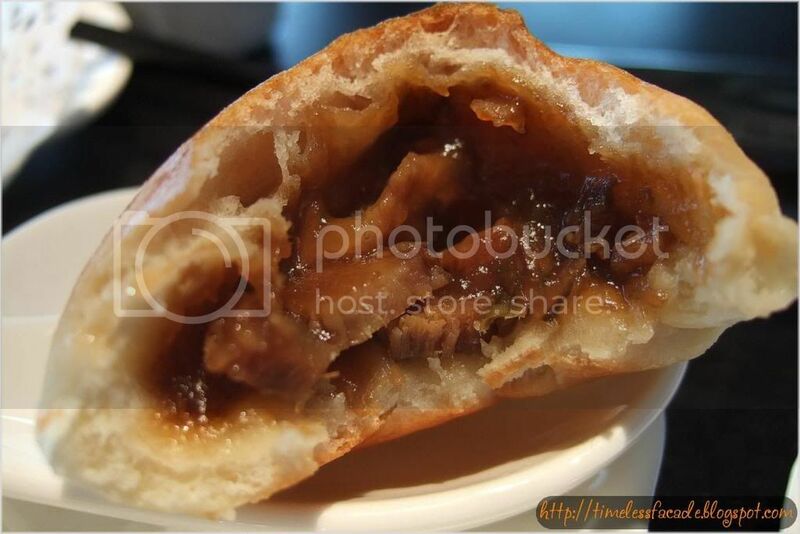 The exterior is lightly glossed with sweet syrup while the filling of pork is salty, which complements the sweetened exterior. Though nice, it definitely doesn't warrant the title of Number One Bun. 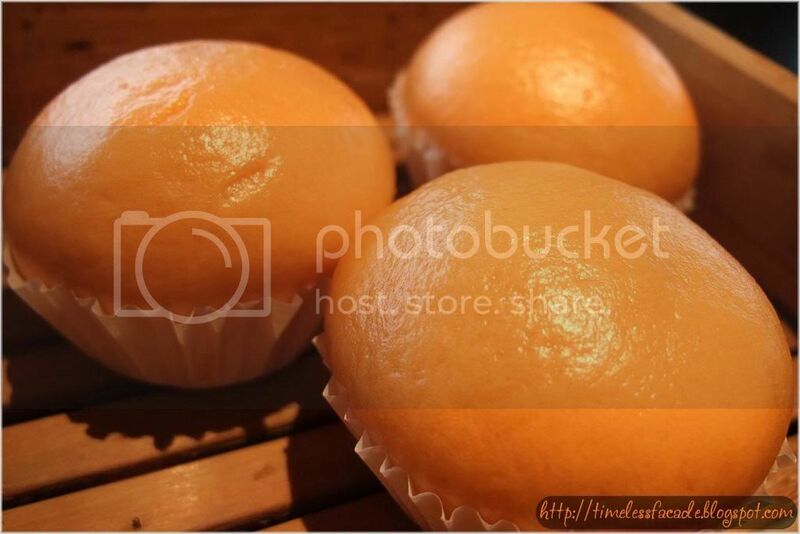 Rounding up our meal were the Souffle Ball with Fresh Durian and Signature Creamy and Flowy Custard Bun. I personally found the Souffle Ball with Fresh Durian quite good as the pastry was soft and fluffy. 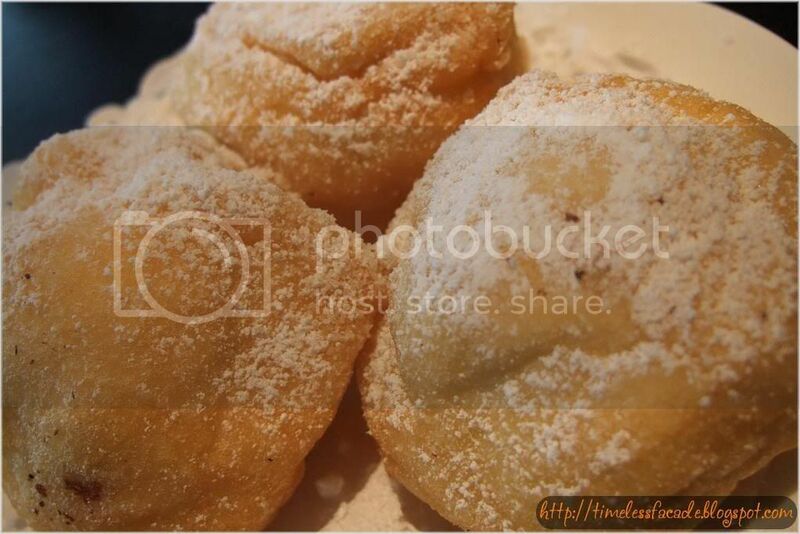 Dusted in icing sugar, it is sweet, fluffy and with a strong durian taste all at the same time. Only grouse I have is that the durian filling was not the least bit sweet at all. Sure, the icing sugar made up for it, but nothing beats the natural sweetness of durian. 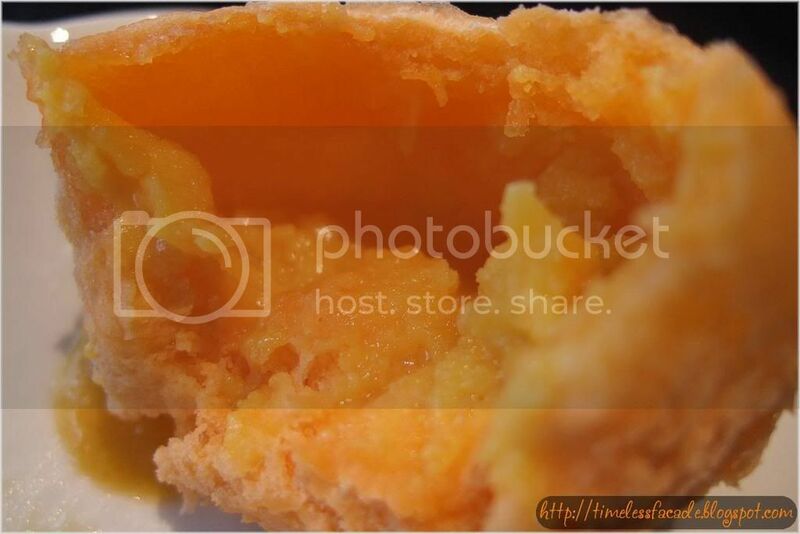 The amount of durian filling could also be increased so that it wouldn't feel like eating just plain fried flour. 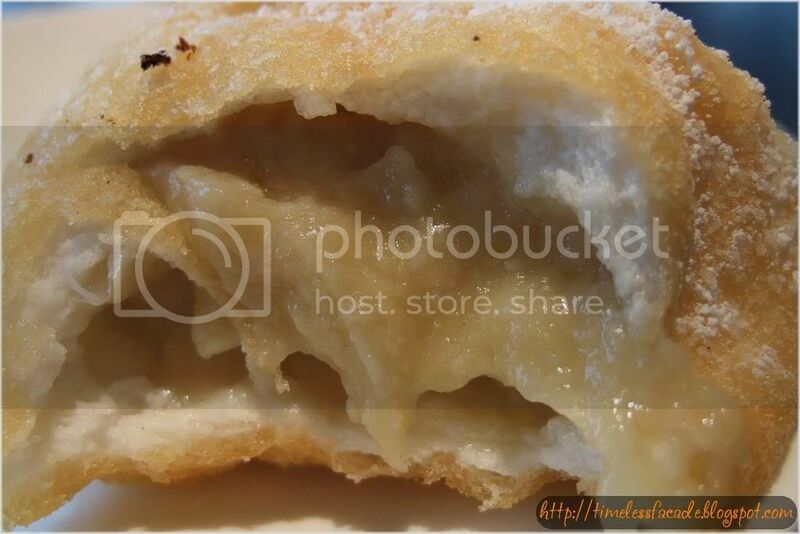 The Signature Creamy and Flowy Custard Bun probably pulled one of the biggest surprises that day. Served looking like cupcakes, they were soft and aromatic and with a filling that oozed into your mouth. Sweet, yet with a tinge of saltiness. Complementation and balance at its very best. An enjoyable meal for 2 set us back by about $48/-. Not exactly the cheapest place to eat, but certainly not expensive. The quality of food is good and the prices don't seem very expensive. But beware, the everything can add up if you are not careful with what you order. 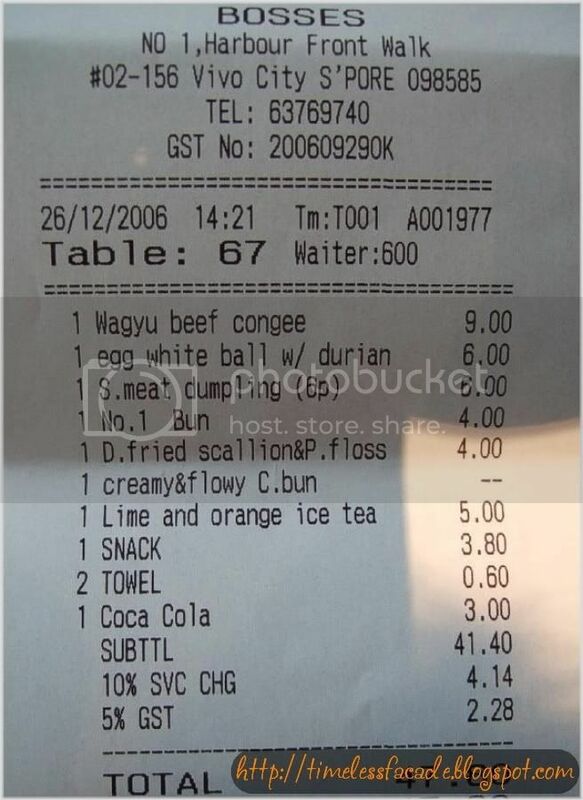 Portions are average sized and service can be better, especially with the charging of service charge. An interesting find at Vivo City, so if you are considering an alternative to Crystal Jade, this is the place. hi.. do you know if they do have a dim sum buffet? or dim sum charging at 50% off at a certain period of time?